Happy hump day, dear readers! If you haven't started making any plans for the weekend, now is a good time to start! I have company visiting, but I'm sure I'll still sneak off to paint my nails a little- I always do! For this morning's post, I have a few shades from the new Garden Party Collection by Fair Maiden Polish to share with you. Fair Maiden may be one of the newer indie brands on the market, but Sarah and Adrienne, the creative masterminds behind the brand, certainly know what they are doing! They have a knack for creating some of the most beautiful polishes with fabulous formulas, and if you haven't tried them out yet, you certainly should! Let's check out three of their newest shades! A strikingly vintage gold metallic polish with light blue shimmer undertones, rose gold sparkle flecks and a linear holo finish. Ok, I am in love! Gilded Garden is such a striking polish and arguably one of my favorite shades ever made by Fair Maiden Polish. The formula was flawless and quite dense: I used two coats for these photos, but I probably could have gotten away with a single ever-so-slightly thicker coat. Also, like the ring in these photos? 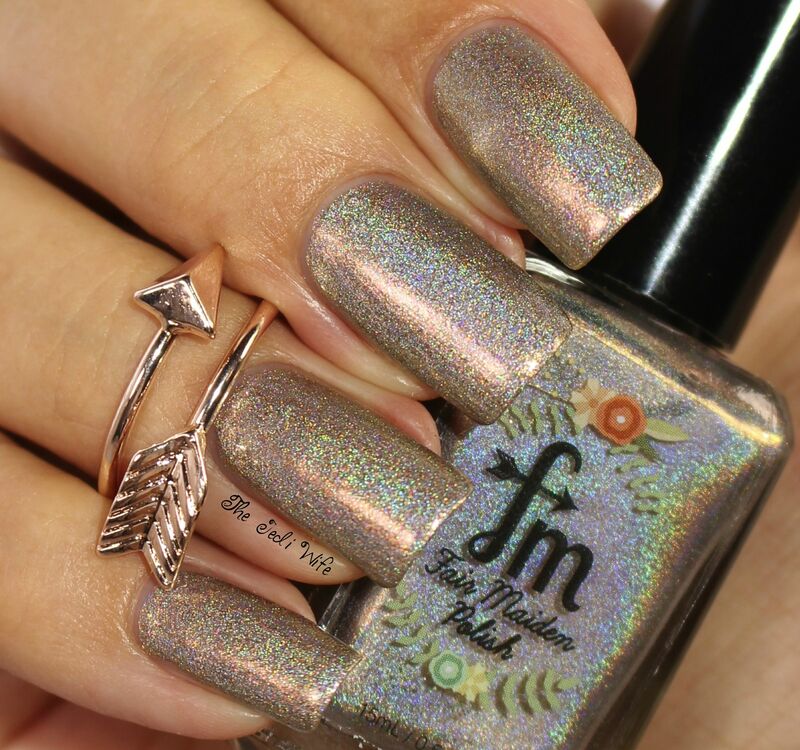 This rose gold-coloured arrow ring comes with this polish! It's a great extra to go along with this beauty! 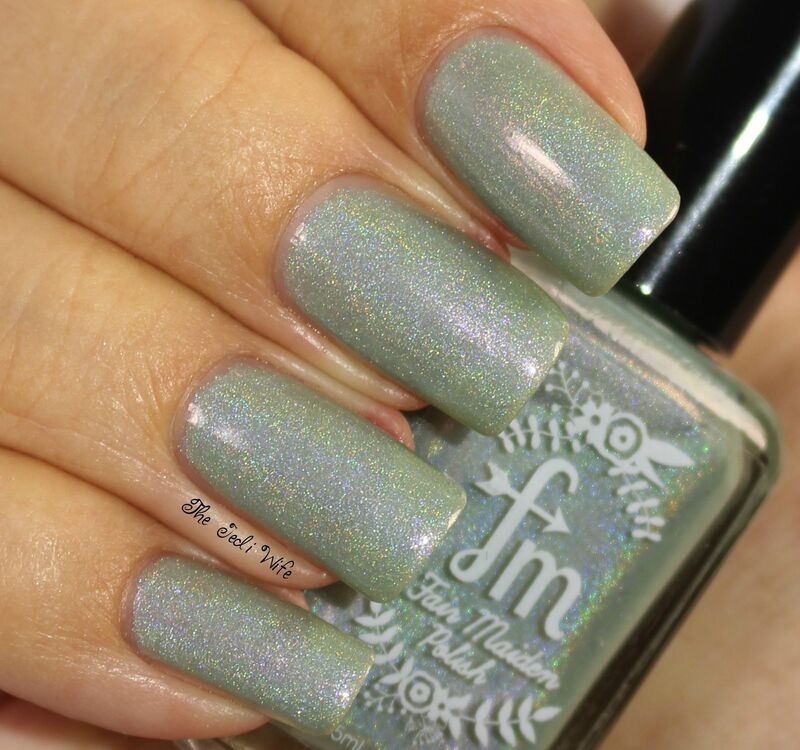 Soft seafoam green-blue polish with a strong violet orange flash, linear holo and subtle sparkle. Ahhhh! You guys have no idea how excited I am about this polish! Ok, maybe you do! 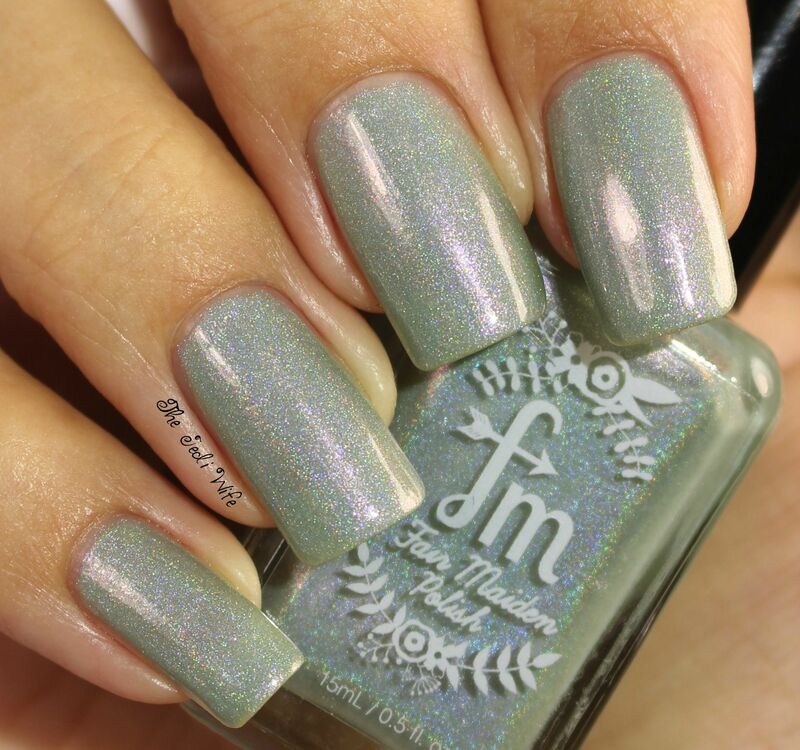 This is THE shade I've been eagerly waiting to see this season, and I am thrilled to see Fair Maiden Polish brought it to life! It is perfection! I used two easy coats for these photos. Soft peachy crème with golden flash and violet red sparkle. Sweet Honeysuckle is another stunning shade from this collection! I love these peachy shades on my toes in particular, and I'll be doing a pedicure with this baby hopefully later today! I had a little bit of patchiness with two coats, something I always experience with colours like this, but the third coat fixed everything up perfectly. Now that I have you all excited about these colours, I have some bittersweet news. The launch was such a huge success (yay!) that these polishes are currently out of stock (oh no!). 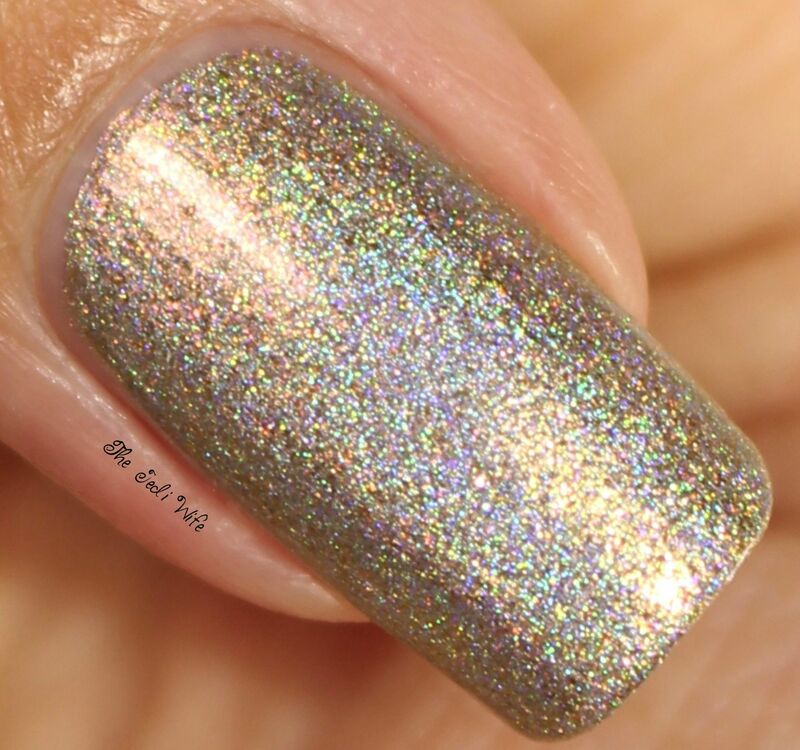 At the time of this post, they have other stunningly beautiful shades from previous collection available for purchase on their website here that won't disappoint. 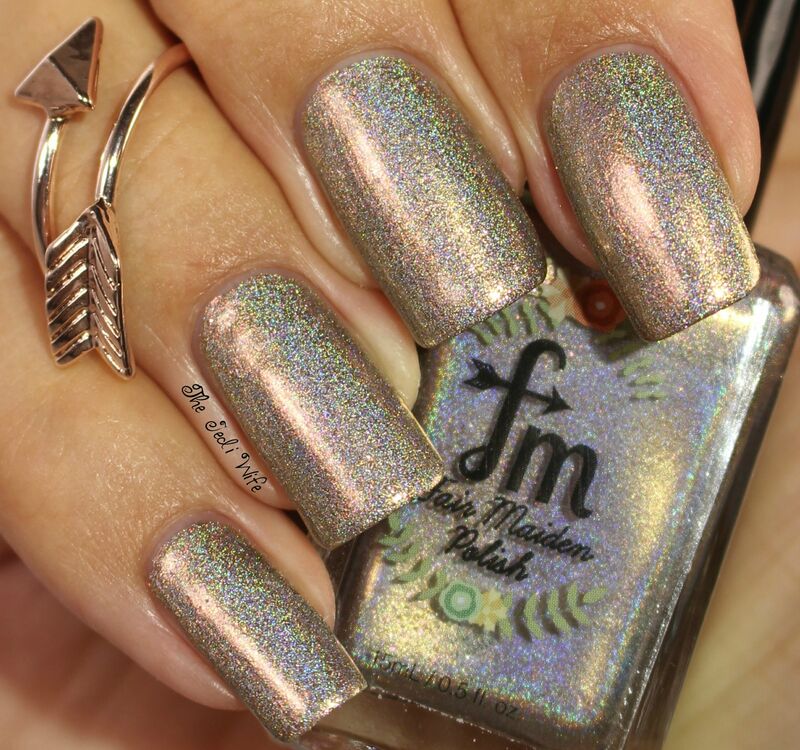 Be sure to follow Fair Maiden Polish on Facebook for news on the restock date in addition to other shop announcements.